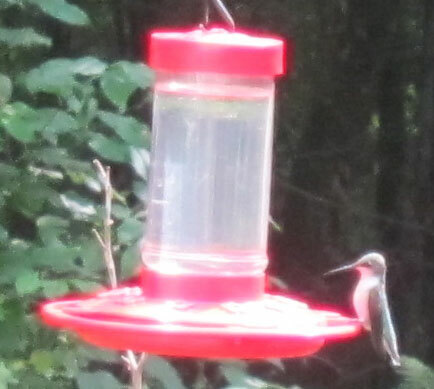 The Ruby-Throated Hummingbird, Archilochus colubris, is the only hummingbird that is typically seen in Massachusetts, and even this hummingbird only appears during summer months. It generally arrives about May 1st each year and then departs in September. 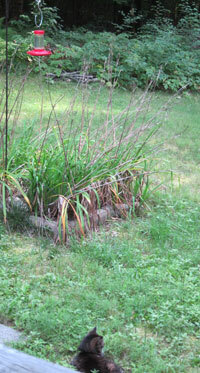 I enjoy making blog posts when I spot my first one of the summer! 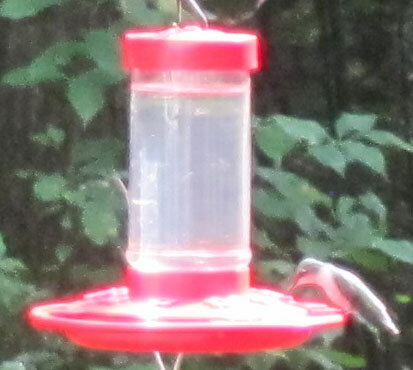 This is one of my favorite birds of Massachusetts. 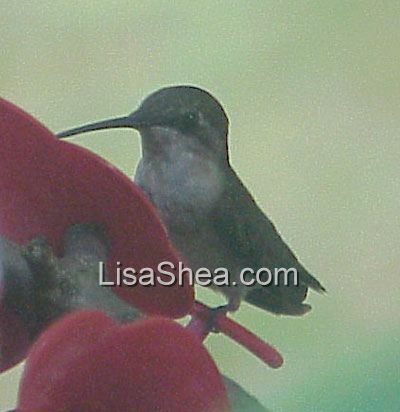 It is easy to tell the male and female Ruby-Throated Hummingbird apart. 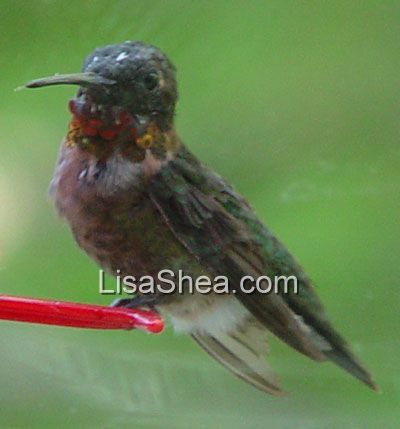 The male has a bright red throat and green body. 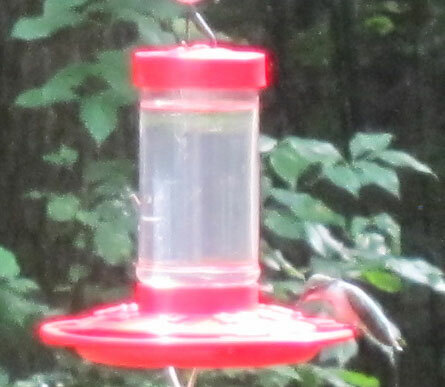 The red throat stands out and is quite irridescent! 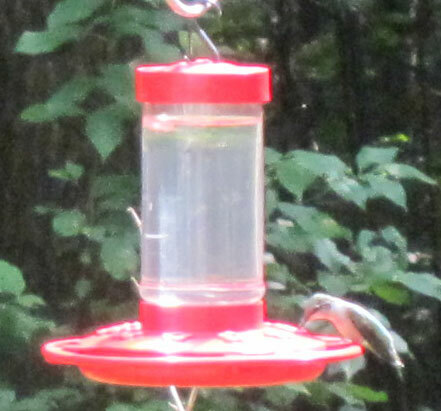 The female is green all over, with a white breast. She has the more camoflagued look to stay safe from predators. 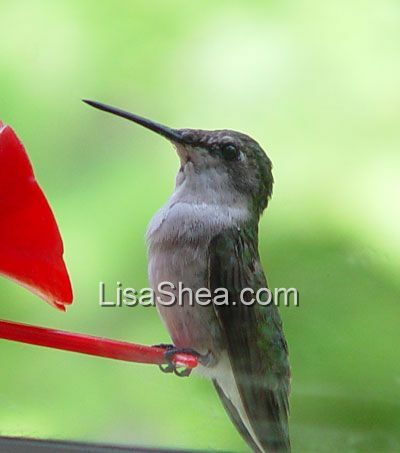 The Ruby-Throated Hummingbird is the only hummingbird typically seen on the east coast. It ranges from Canada to Mexico. 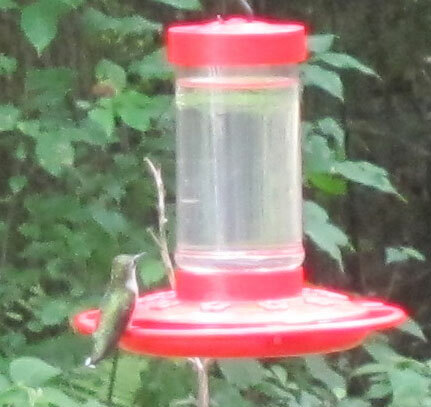 This delightful hovering bird is around 3.5" long. When it flies its fast-moving wings almost sound like a bee, with a high pitched HUMMMMMM noise. It is the only bird that can hover and fly backwards. 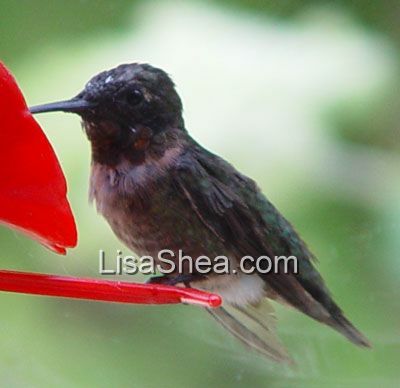 Hummingbirds adore nectar and nectar-producing flowers. Traditionally people plant red petunias to lure them in, but I've had even better luck with fuschia plants (shade loving) and lantana plants (sun loving). These next photos were taken on my back porch in August 2012, as my cat Juliet lounged in the grass beneath me.